If you were lucky enough to see April do her PITCH at Six Degrees then you will know all about this exciting project. Since the PITCH she has been working with Activate Coffs to locate a suitable space for a POP-UP SHOP and Youth Directions on all the other details of making it work! And now they are ready to open….drum roll please…..
MAKE SPACE are welcoming our New Arrivals with a place to learn, create, practice English & be a part of the Coffs Harbour community. The space is also designed for the enjoyment of the wider community with locally sourced products and craft workshops. 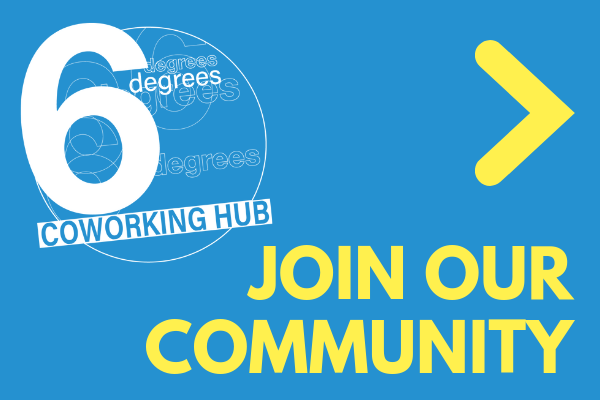 April is inviting all Six Degree members and supporters down to the launch. If you can’t make the launch please pop along when you can. OPENING HOURS are subject to change so please check out the Facebook page for future hours. ACTIVATE COFFS is a project to fill vacant commercial and retail premises in the region with creative projects and/or start-up businesses, utilising short term vacancies to provide these ideas and enterprises an opportunity to have a shopfront. ACTIVATE COFFS is an initiative of ENTERPRISE COFFS – contact Courtney Tune if you are interested as an entrepreneur or landlord 6648 4083. Well done April and all the team that has made it possible! Get on down there, check it out and spread the word for this exciting social enterprise.